Resilient Flooring comes in a wide array of colors and designs with good overall performance. It is easy to clean and a great material for wet environments like a kitchen or restroom. Seams for sheet material and some tiles can be heat welded together providing an aseptic, water-proof seam that can also add color accents. Vinyl and LVT products are generally less expensive than their natural counterparts and installed prices can vary depending on material quality. The higher priced products tend to have features like a beveled edge, increased material thickness, rigidity and wear layer along with longer warranties. 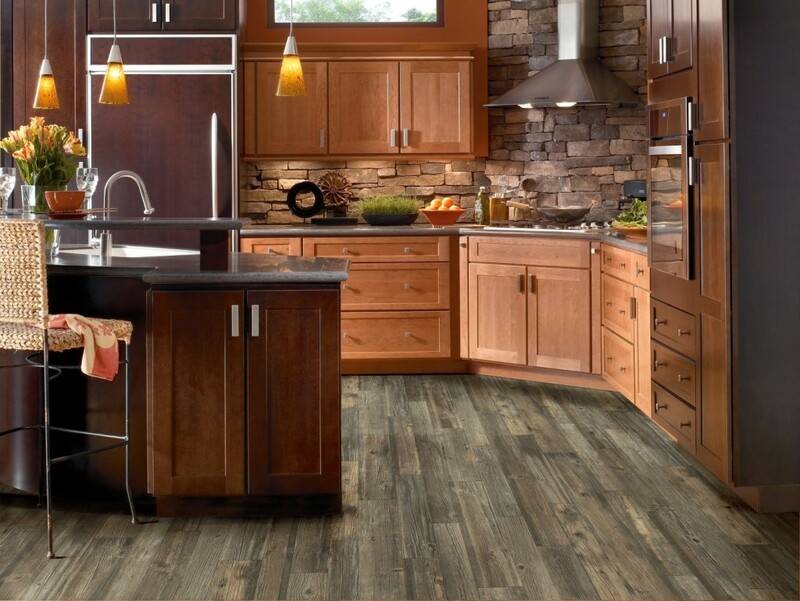 Linoleum flooring is often incorrectly interchanged with vinyl flooring, however it is a natural product that is named after the linseed oil which is the main component. As such, it is a green product that holds up well to high traffic areas and is easy to clean. Rubber flooring is one of the most durable flooring products and it is not uncommon for an installation to last upward of 20 years. Its natural characteristics make for a softer floor that is easy to maintain. The worst part about rubber flooring is the cost! Here are some of the resilient flooring products we carry, contact us for a free quote, we can handle all of your resilient flooring needs. Even if it’s not listed we can probably order it.